People are often worried & afraid to approach an aesthetic clinic due to bad rumours they heard from friends & family. But those are merely the 1% of unsuccessful cases due to unprofessionalism of personnel and inadequate understanding of procedures. At The Retreat Clinic, we assure all patients are fully educated about their individual skin concerns & the treatment options that will be administered. Listen to one of our happy customer and what she has to say about a problem that has been affecting her self esteem for the longest time…. What was your skin concern & how did it affect your daily life? I’ve suffered from acne since I was in my teens. Onetime, my acnes & scars are so visible that my friends thought I was having chicken pox. I felt extremely self-conscious about it. However, regardless of what I have tried to keep them at bay it usually only works for a short period of time or made my acne worse! 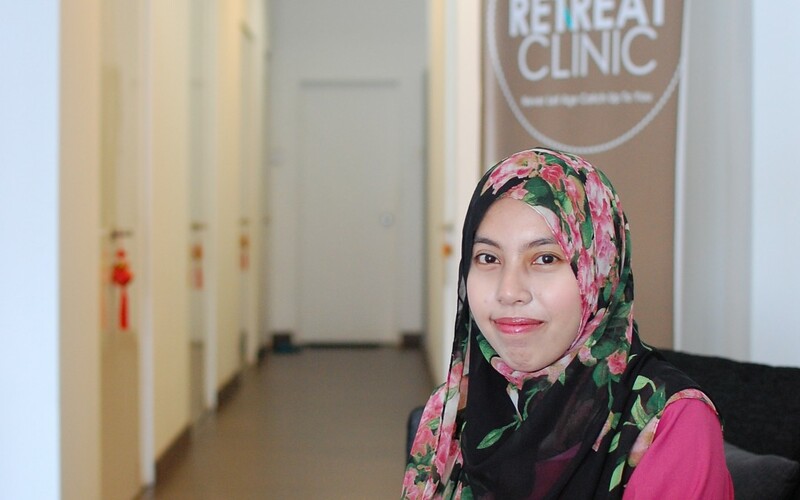 I have been on the longest journey for an acne solution until I came about The Retreat Clinic. How was your experience with the retreat clinic? At first I was a little bit worried because I have never been to a clinic for this issue. Unfamiliar environments often made me anxious. To my surprise, the staffs were really friendly and I had a good conversation with them and Dr Ong to understand my acne problems. I was shocked to find that it is actually really easy to reduce my acne & scars from a Dual Laser Treatment!! Why didn’t I come earlier! How was your skin concern after the treatments? I did not change any of my skin care routine aside from coming for treatment at the clinic. After 4 -5 sessions with The Retreat Clinic, my acne scars became less visible, new pimples became more manageable. My friends are very happy when they knew I was visiting The Retreat Clinic for my treatment. They followed me and supported me through this journey & they also noticed improvement after the treatments. I am so happy to share this joy with them and have my confidence boosted. All and all, I am very happy with what I see in the mirror now!